Thanks to the Valentine Group for being a Signature Event Sponsor!Visit Us! Thanks to MP Environmental Services, Inc. for being a Signature Event Sponsor!Visit Us! For nearly forty years, Northwest Christian School has been partnering with families towards the end of equipping our students to become outstanding Christian leaders and world-changers. Now the largest private school in the state and one of the ten largest private Christian schools in the nation, each year NCS graduates over one hundred students who are prepared to be difference-makers. 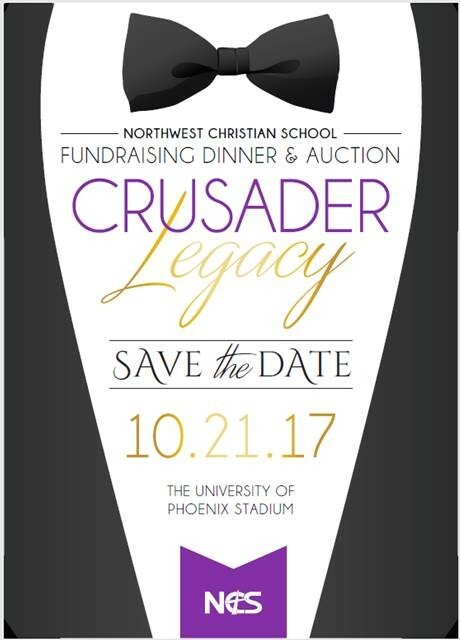 We are excited to announce that Northwest Christian School will be hosting our third annual fundraising dinner and auction on October 21, 2017 at the University of Phoenix Stadium. As we enjoy dinner together, you will be hearing about the school's past and the vision for the future from members of the school's administration and from members of the School Board, our teachers, students, and alumni. As we discuss the future, we look forward, to discussing plans for a new classroom building and game-changing plans for the elementary program. But, of course, there is so much more to the Northwest Christian student experience than buildings and facilities improvements! The funds raised through this event will be committed to campus improvements that we will be announcing that evening. This is an event you won't want to miss!